The people of Britain have turned to the seas for centuries to protect them from invading forces. As far back as the Roman Empire, Britons have relied upon the power and unpredictability of the English Channel to protect the island nation. The Britannia coin bears images that represent the Channel’s importance in British history. 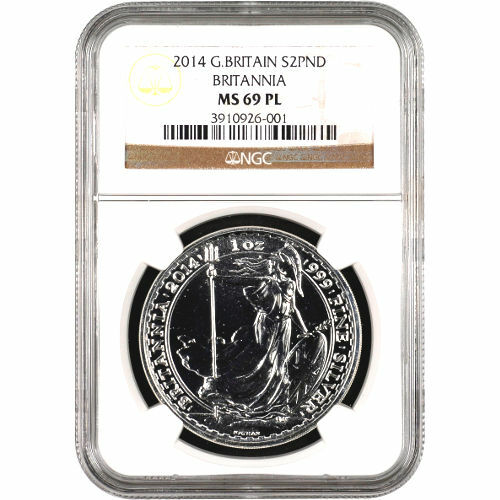 These 2014 1 oz Silver British Britannia Coins are NGC-certified as MS69 quality and are in proof-like condition. 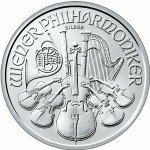 Silver Britannias are the official silver bullion coin of the British government, and have been produced by the Royal Mint since 1997. The image of Britannia, a goddess who serves as the embodiment of the British people and the English Channel’s power, is featured on one side of the coin with her helmet on and a trident in hand. The opposite side of all coins in the Britannia series feature the image of Queen Elizabeth II as captured by Ian Rank-Broadley. 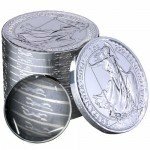 One unique feature of this 2014 1 oz Silver British Britannia coin is the use of the standing Britannia. Beginning in 1998, all even-numbered years featured a standing image of Britannia, while odd-numbered years used varying images of the goddess. On the reverse side of the 2014 Silver British Britannia Coin is the image of Britannia standing guard over the Channel. 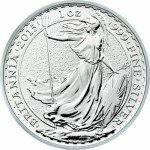 She is encircled by the engravings “Britannia, 2014” and the weight, purity, and metal content of the coin. On the obverse side is Rank-Broadley’s right-profile portrait image of Her Majesty Queen Elizabeth II. She is surrounded by inscriptions of “Elizabeth II, DG” and “REG’ FID’ DEF’,” as well as the face value of the coin. The UK’s Royal Mint has been in operation for over 1,100 years. The facility services the whole of the United Kingdom, including Northern Ireland, Scotland, Wales, and British Overseas Territories. 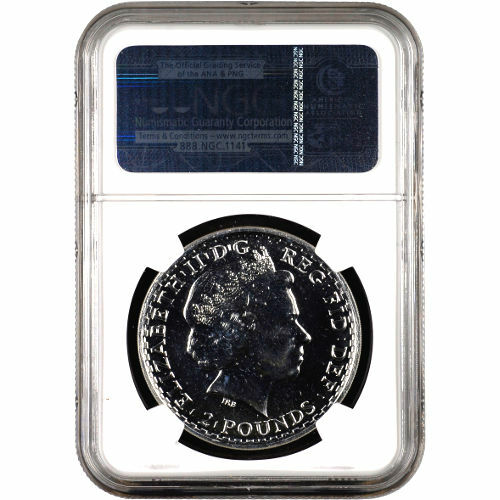 The Numismatic Guaranty Corporation has given this 2014 1 oz Silver British Britannia coins a grade of MS 69, meaning the coin has a very attractive and sharp strike, with its full original luster intact and no more than two small contact abrasions. 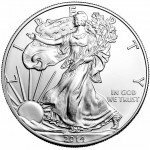 Silver.com is dedicated to facilitating a happy buying process for all customers. If you have questions about the products on our website or the buying process itself, don’t hesitate to contact us by phone at 888-989-7223. We can also be reached online through our live chat feature.